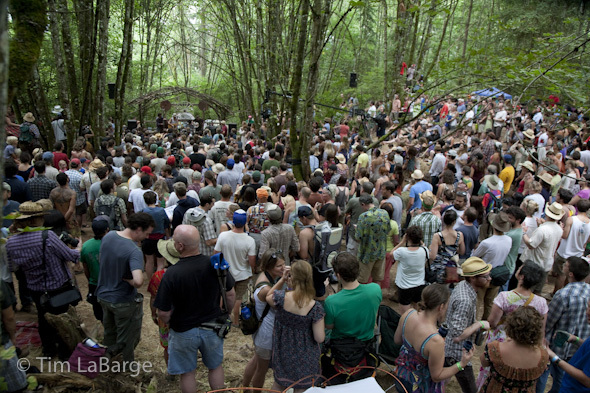 I knew this year Pickathon would be different than any previous: More bands, fewer sets by each band, more friends at the event than ever, more decisions. I was going to miss music and I wasn’t super happy about it. So looking at the schedule, I started to do triage. 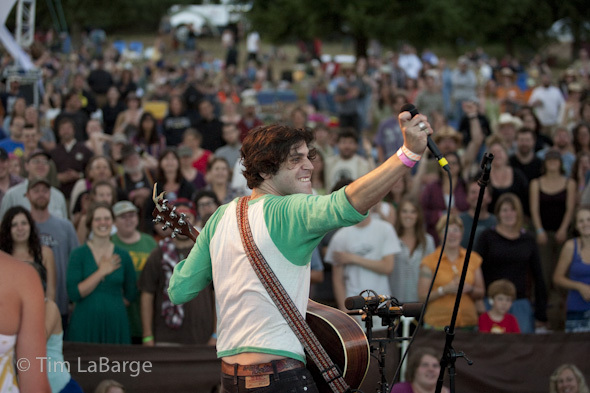 I mentally crossed out Langhorne Slim. 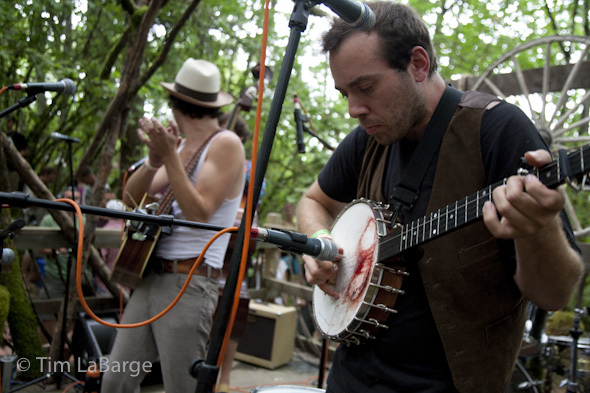 He’d been to Pickathon before, and I know I love what those guys do. 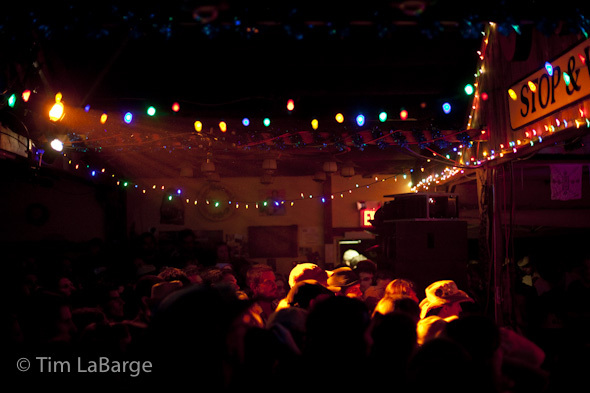 I’ve seen the band at several other venues around town over the past few years…it’s always fun and they’re truly kind people. The Barn set is a given. I should have expected to get sucked into that steamy, old barn. The band tears that place down every time they play in there. I went out to the Woods Stage set for a quick body count. I knew there would be a good crowd and wanted to see what that looked like before the Bonnie Prince Billy performance that soon followed. Sucked in again, I stayed. And the Mountain View set, I merely followed my ears. Something is happening out there, I thought. 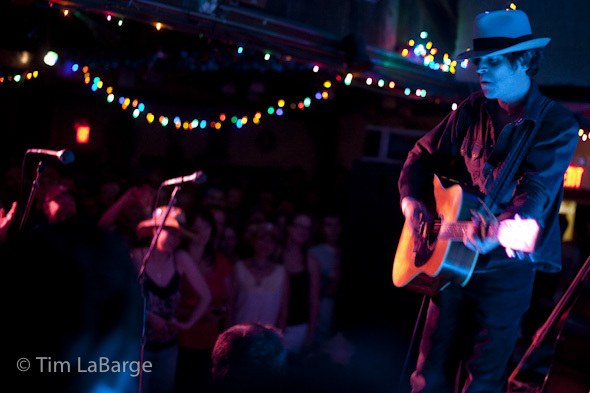 And sure enough, Slim had kids dancing on stage with him and had worked the crowd into an unexpected Sunday evening frenzy. Classic. I know I missed something wonderful somewhere else. 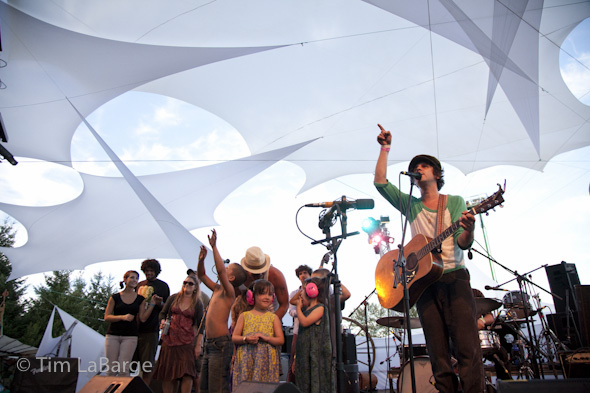 But I never regret any moves I make at Pickathon because the music is all so dang good. 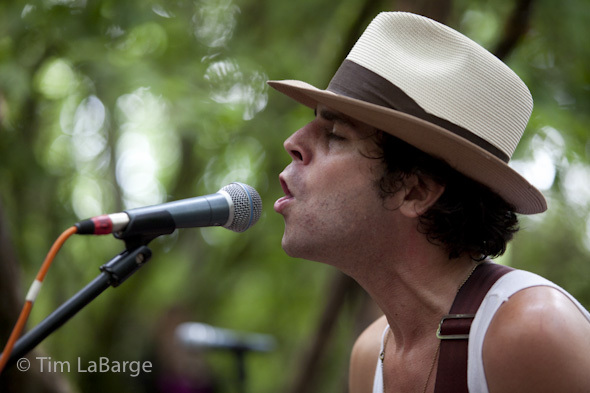 We’ve already got tickets for the Langhorne Slim concert on New Year’s Eve at the Mission Theater here in Portland. This time it’s planned and on purpose. This entry was posted on Wednesday, December 1st, 2010 at 1:09 pm. 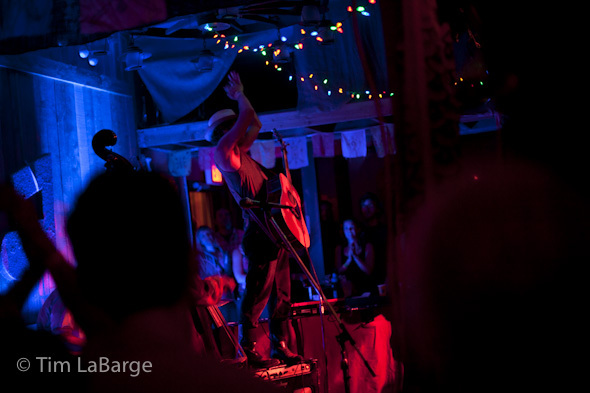 It is filed under music and tagged with editorial, labarge, langhorne, music, photography, pickathon, slim, tim. You can follow any responses to this entry through the RSS 2.0 feed.